Please listen to your child read whenever you can and record this in their reading diary. Your child will have a school book but any reading can be recorded in their diary. So, if they read other books, magazines or anything else we would love to know. As Parents/Carers you are your child's most influential teacher with an important part to play in helping your child to learn to read. Each week your child will have one reading scheme book, which they may require more support and guidance with. 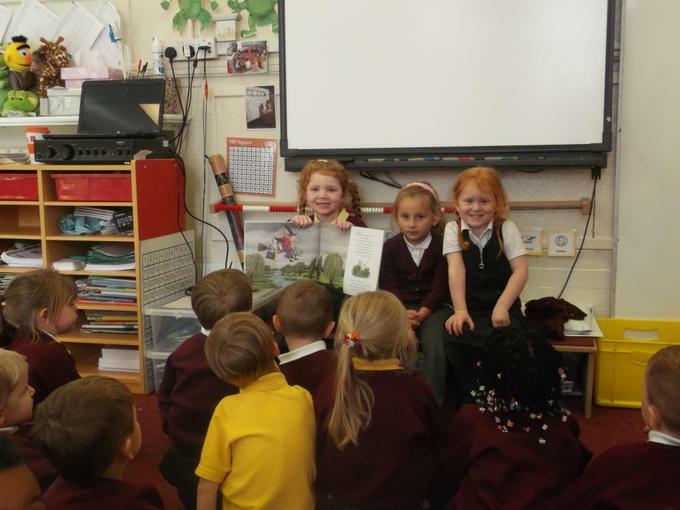 The reading scheme books are changed by the class teacher any time during the week. As we read a range of other texts for Guided Reading sessions within school, and not the reading scheme books, we rely on you commenting upon your child’s progress with their reading books. We will then assess your child within school to see if they need to move up or down the reading stages. It is good for the children to read their books more than once, as it helps them develop fluency and on the second read you can spend more time discussing what is happening, what the illustrations tell us, why certain characters act the way they do etc. We would also like to encourage the children to not only read their school books at home but to read a wide variety of text such as information books and comics. Any text your child reads please write in their diary and will count as one of their reads for the week, we encourage your child to read at least 4 times a week. Children who read four times each week will receive a reading certificate at the end of the half term. Thank you for your continuing support. If you do have any questions or queries regarding reading please do pop into school to chat to us.